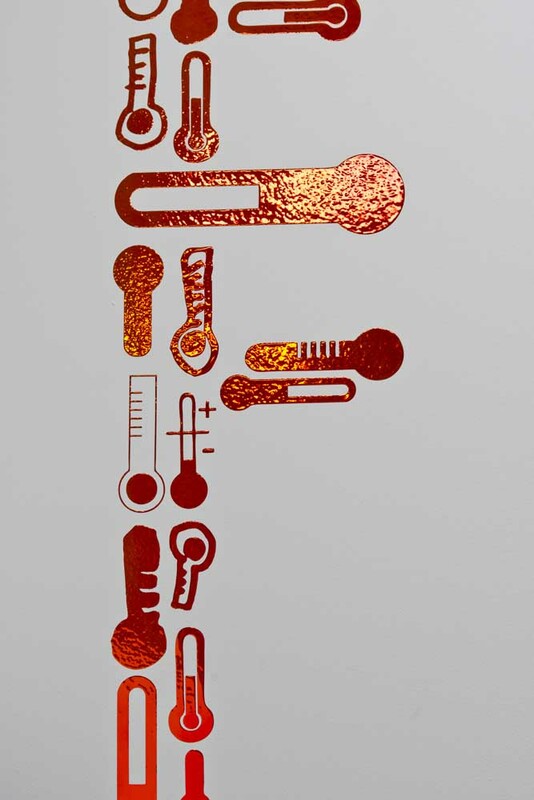 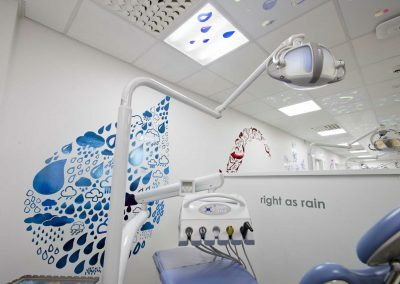 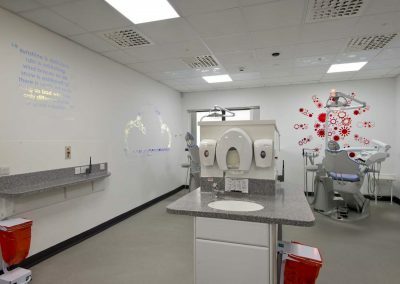 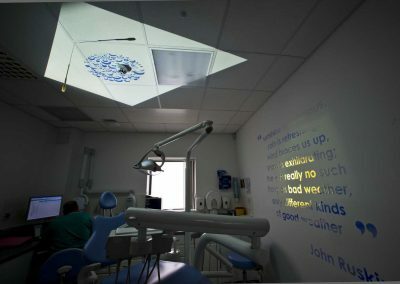 In 2012 GHAT worked with The ARCHIE Foundation and University of Aberdeen to commission Susan T Grant to work with the staff in the new Dental School which was being built at the time. 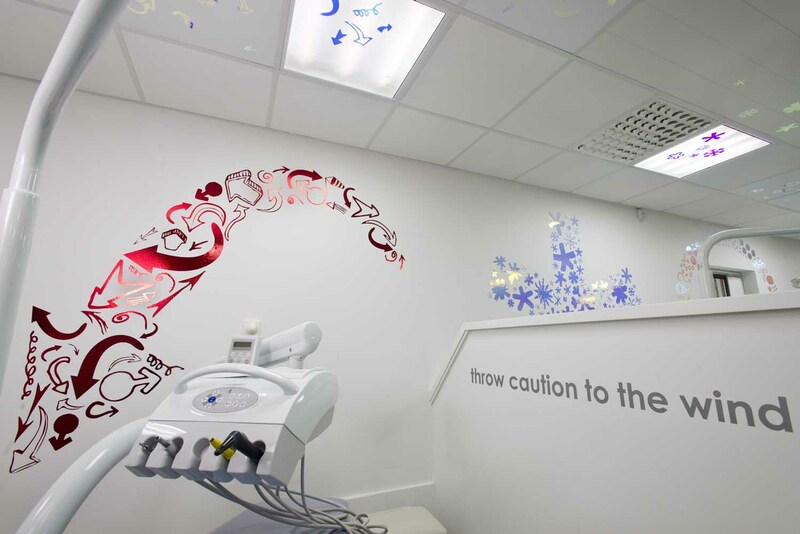 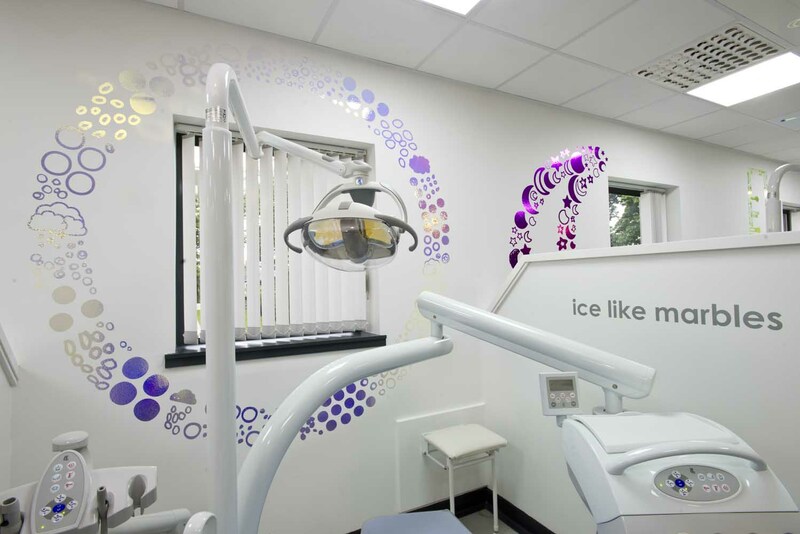 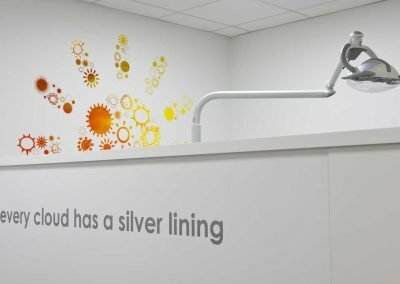 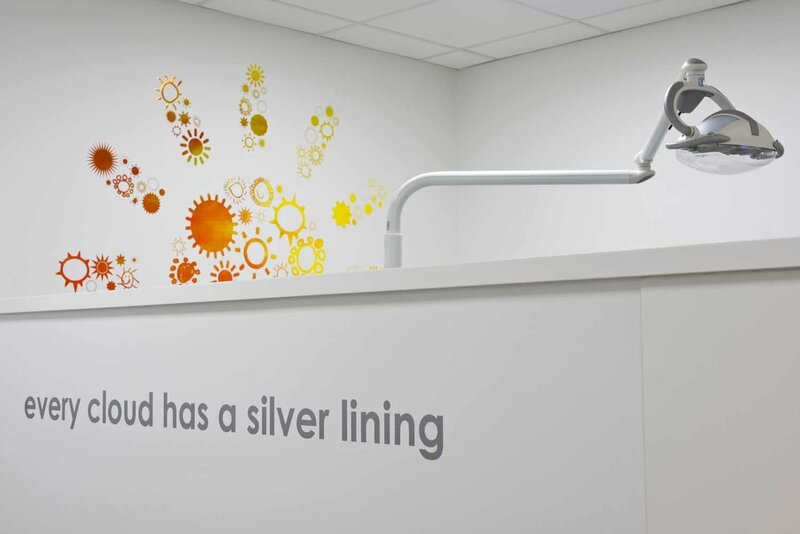 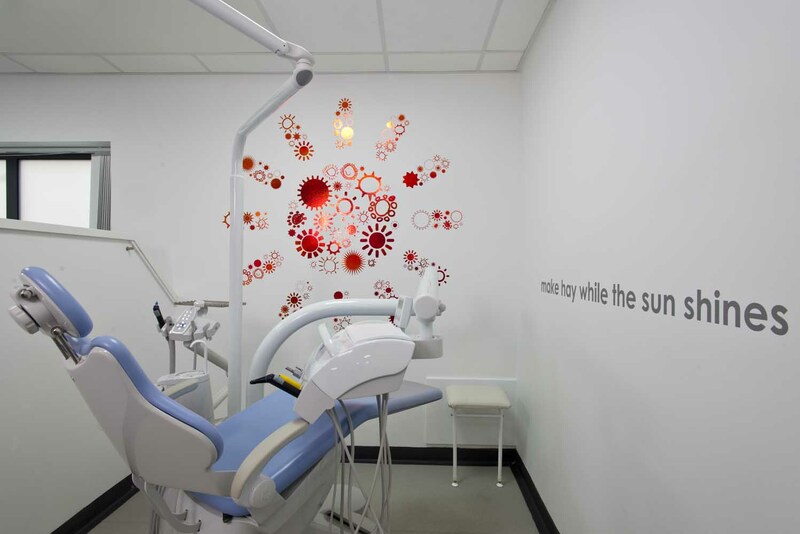 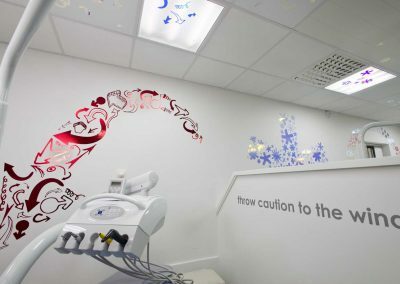 The project was to make the Department of Paediatric Dentistry a calming environment for the children who would be using the service. 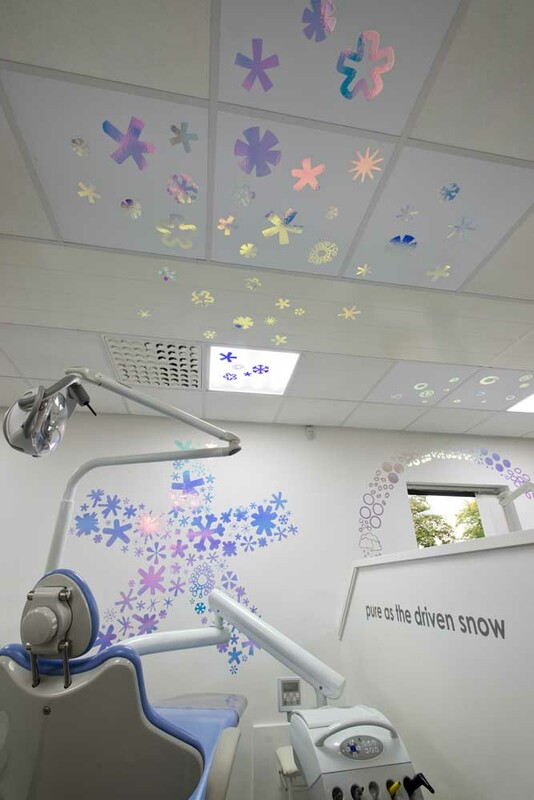 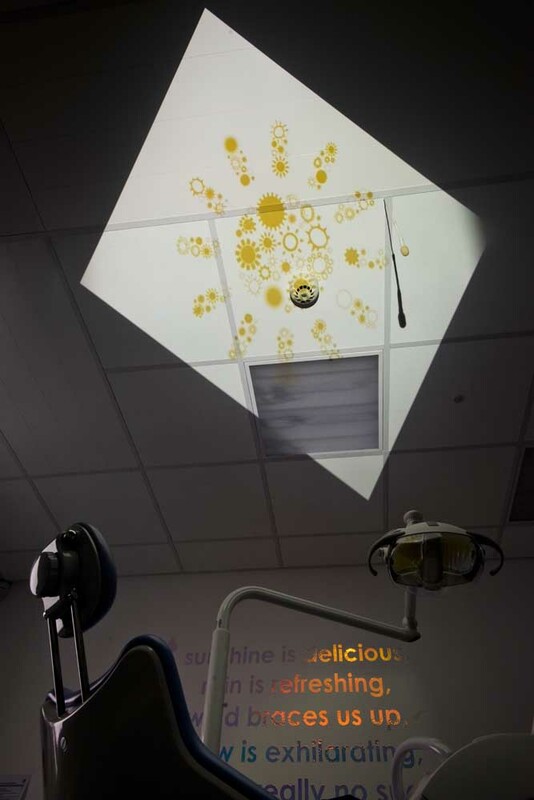 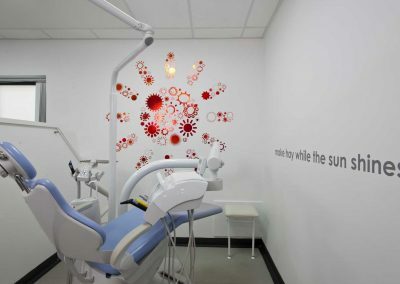 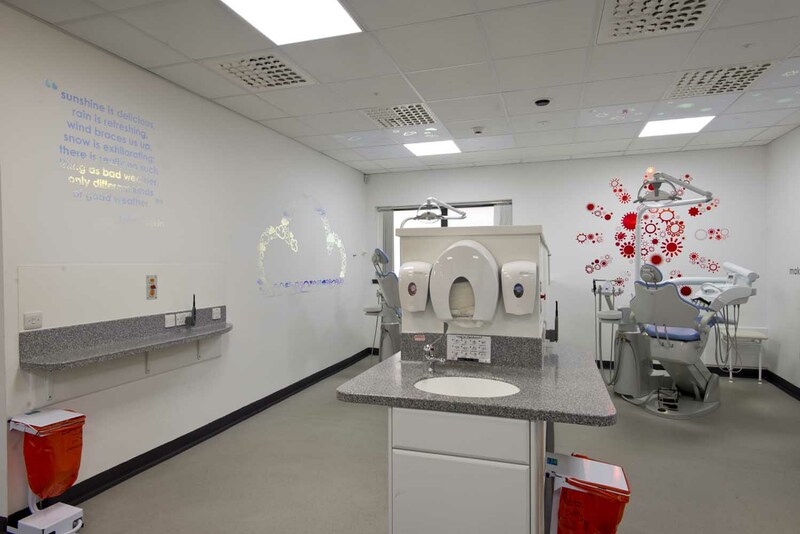 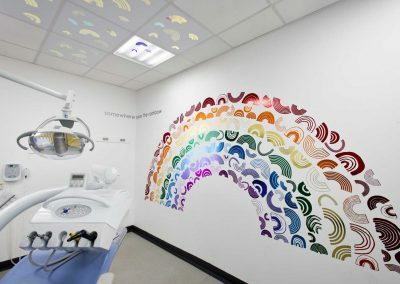 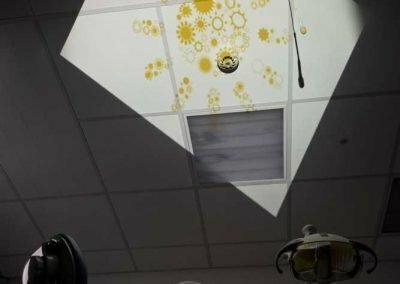 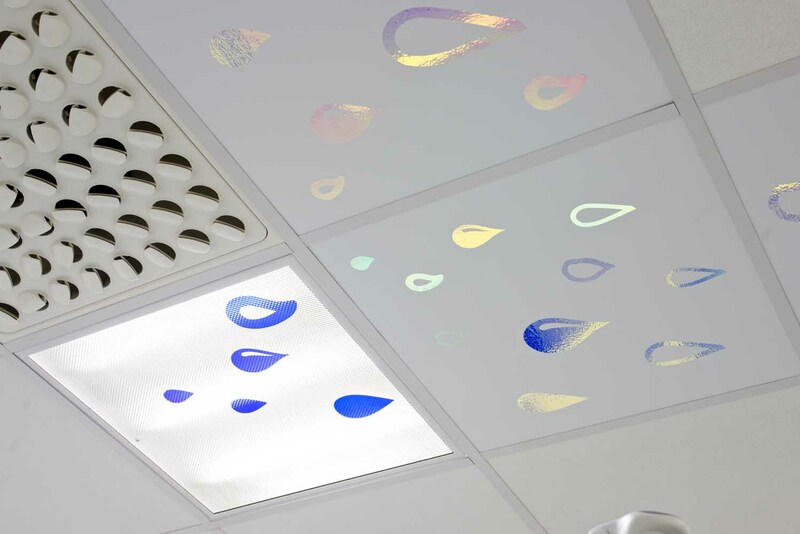 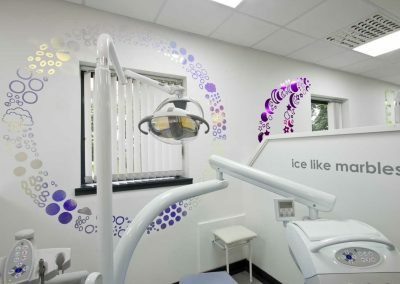 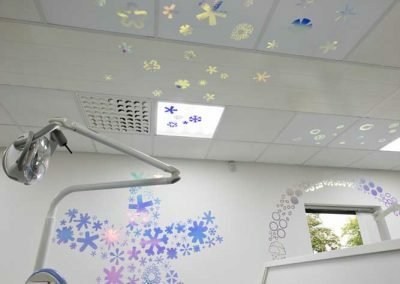 The work would also aid distraction through the use of projection and moving images, and create a fun and relaxing place for the staff, students and patients. 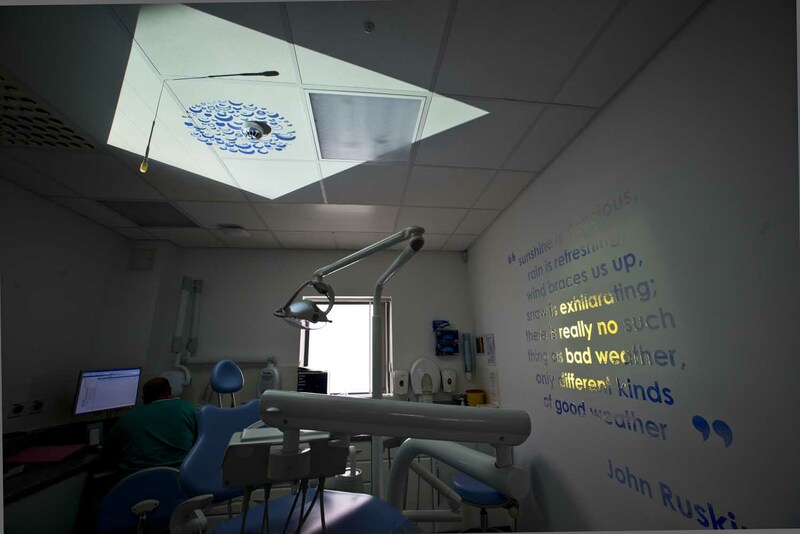 Susan started the project by working with local school children to build on a theme. 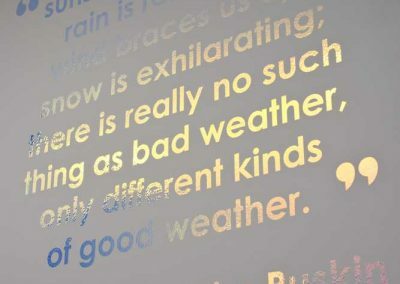 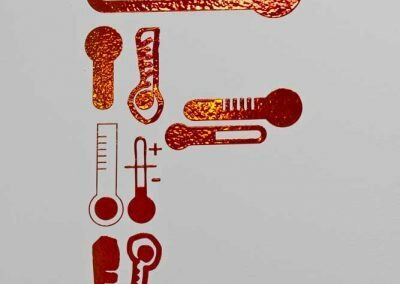 Weather quickly became the focus of their workshops. 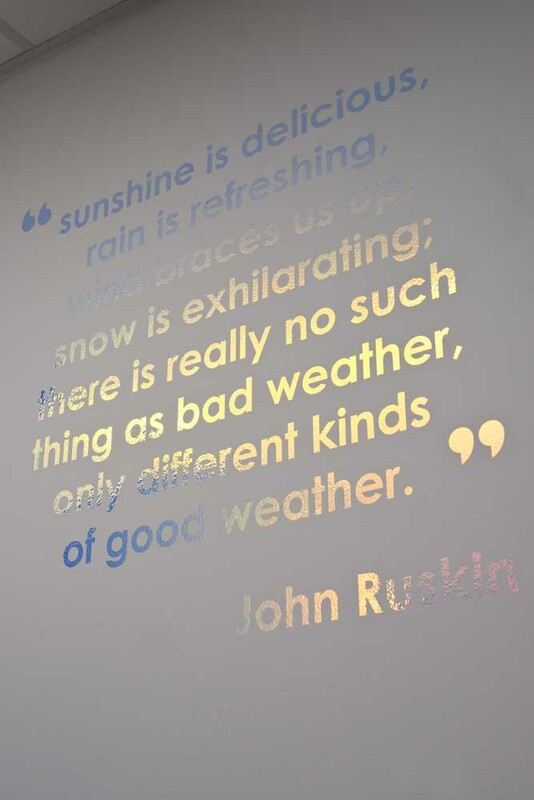 Using old weather maps as templates Susan worked with the children to crate a series of drawings, which she would then turn into the final artwork, which included an animation that is used in the sedation room.